Search Engine Optimization, SEO, is the secret ingredient to getting your business website found by search engines like Google, Bing, and Yahoo. The problem is knowing how much, and what type, of optimization to do and which agency to hire. Get the right answers to those questions and you are 75% there. Search engine optimization, or SEO, is part art and part science. It involves creating content for your website that’s optimized for search engines – but part of good SEO is optimizing your content for readers, too. Learning SEO basics isn’t terribly difficult, and it definitely pays off. Before you can dive into the specifics, you need to understand search engine optimization and why it’s important, which the following section covers. Search engine optimization is a digital marketing tool available to every business owner with an online presence. It helps SMBs reach potential and existing customers through major search engines, which all generally follow Google’s lead. A basic SEO strategy keeps the principles behind a standard Google search in mind. When Google receives a query, it automatically assembles a collection of results that provide an answer. The most complete and accurate answers, as determined by Google’s algorithm, appear at the top of the search engine results page, or SERP. This is possible because Google’s crawler – commonly called the Googlebot – reads the content of each page it discovers and uses more than 200 factors to assign it a ranking. The algorithm Google uses latent semantic indexing. That means Google can recognize related terms and phrases in groups (like knit, knitting, yarn, stitch and purl) to understand, categorize and rank pages. Think of Google like a giant file cabinet. It files away useful webpages in each drawer and knows precisely where to go when someone needs an answer. The higher a page ranks in the SERPs, the more likely users are to click it. Good SEO is about more than keywords, though. It’s an entire strategy that successful businesses implement to gain greater visibility in the SERPs and, as a result, more traffic and more sales. As a business owner, you can take SEO basics into your own hands. It’s possible to engineer a powerful SEO strategy on your own. You have to be in it for the long haul, though – good SEO doesn’t happen overnight. Optimizing your website makes your business more visible to a highly targeted group of searchers who want or need what you have to offer. There’s one catch: Google is all about user experience, or U/X. Keywords are central to any SEO campaign – and the most successful search engine optimization campaigns are data-driven. Start by researching your competition. Note where your competitors rank on Google for keywords and phrases that also relate to your business. Perform some organic searches for keywords you feel your users may use to find your business. Start with the basics, but don’t be afraid to try out long-tail keywords. You can use a variety of tools to plan your keywords. 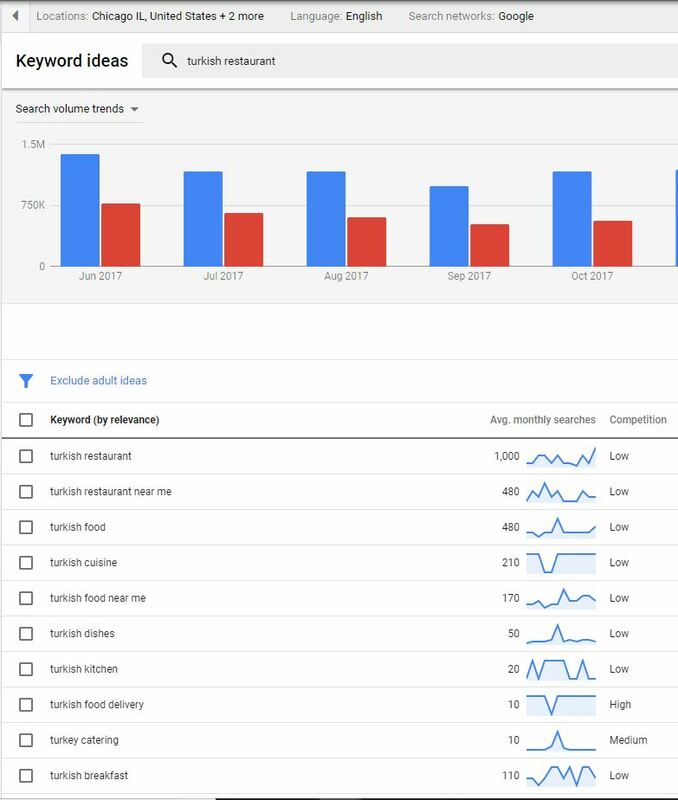 Google’s Keyword Planner is the most obvious choice, but it only offers broad data unless you’re paying for advertising. However, there are a number of free and paid services that allow you to research keywords relevant to your business. Some can become very expensive, so for most business owners, it makes sense to hire an SEO expert who already has access to the most effective tools. Pro tip: Only use one keyword or phrase per page of content. Keywords must be distinct between pages. Following Google’s Webmaster Guidelines helps ensure your pages are compliant with Google’s requirements. Spend some time learning best practices – and what not to do – before you begin. If you violate any of Google’s terms, the search engine will penalize your site. Google may elect to exclude a few pages from its index or it may deindex your entire site, depending on the nature and severity of the violation. Content optimization is the most fundamental part of a basic SEO strategy. It involves choosing a keyword or phrase and building content around it naturally. Googlebot is programmed to discover and index pages based on the text they contain. Google’s algorithm, Hummingbird, uses latent semantic indexing to determine a page’s purpose. Latent semantic indexing, or LSI, is the method Google’s algorithm uses to scan through data and identify relationships between words. This enables determine the context of a page and eliminates the need for keyword density. Use each keyword naturally. Make sure that keywords appear in the page’s meta title, a heading or two, within the body of the content and in the meta description – but don’t “stuff” keywords in. The best way to incorporate a keyword is to write naturally, then revisit your content and ensure that it appears where it will help readers most. Because Hummingbird understands word groups (like the knitting example above), there’s no need to worry about keyword density. Pro tip: Optimize image file names and alt text on images with your keyword. If you use WordPress for your website, you can install a plugin that can help you with optimization, such as Yoast SEO or All-in-One SEO Pack. Just bear in mind that as of this writing, Yoast still considers keyword density a factor as it “grades” your content. Successful SEO depends on link-building and dozens of other factors, including local optimization, getting reviews and establishing social media profiles. Link-building is an important component of SEO. Google uses inbound links – links that lead into your site from other websites – as a measure of how valuable your website is. If already-reputable sites link to yours, it’s a strong signal that you have something to offer users. Conversely, if several spammy sites (like link directories) link into yours, Google can interpret that as a sign that your site is likely not worth much or that you’re trying to game search engine results. Optimizing content for location-based searches, such as “Brooklyn bagels” or “Dallas roof repair” can help bring in local business. A good SEO strategy also includes using Google My Business and other tools that help establish your company as the local go-to when your potential clients are looking for help. Many people trust independent online reviews as much as they’d trust a recommendation from a friend, so it’s important to build a presence on review sites like Google, Yelp and others. Building a presence includes responding to reviews (both positive and negative) and showing people who read them that your company is interested in maintaining a good reputation for customer service. Business owners who want a complete SEO campaign often turn to professionals. At MarketCrest, for example, we assist our clients in all aspects of search engine marketing. SEO is always evolving, and you need to know where your site stands on a day-to-day basis to ensure you stay on top. Use Google Analytics to track which pages people land on to enter your site, where your visitors are coming from and how long people spend on each page. 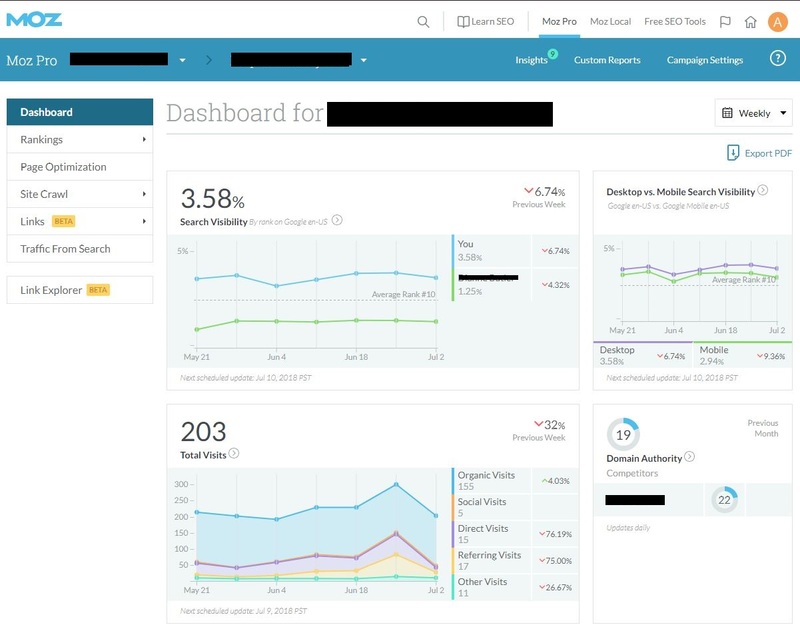 You can also use paid tools, like Moz and SpyFu, or built-in tools that come with platforms such as Wix and Squarespace that track your site’s performance. The most important thing you can do is monitor whether your efforts are paying off. That way, you can adjust your strategy and focus on the optimization techniques that are bringing you new business. Learning SEO basics can make a huge impact on how well your website performs. Used properly, SEO enables business owners to connect with larger audiences and increase profits. Simply by familiarizing yourself with Google’s guidelines, researching keywords and investing in the right web design, you can boost your bottom line. At MarketCrest, we love helping our clients take their digital marketing to the next level. Learn more about our award-winning work here – and when you’re ready for a free, one-hour consultation with a marketing expert, call us at 469-661-1040. We’re here to help. Website optimization is a necessity for businesses, organizations and every other entity with a web presence. Proper optimization and maintenance will guarantee your website functions as a meaningful marketing tool. Below, we delve into the basics of website optimization that will keep your website in tip-top shape. A website provides a positive impression that your business needs to make connections with visitors of all types. Website optimization makes sure your site is current and found online. The presentation and functionality of your website really is an important competitive advantage across all industries. Set the stage for your website checks by taking some preliminary steps that will make the entire process that much more efficient. Start by installing Google Analytics and sign up for Google’s Webmaster Tools. Confirm your website, establish a backup service and coordinate daily database backups along with full site backups on a weekly basis. These should be stored on a distinct server. Several high-quality backup services can be found online, just search for them on Google. Amazon S3, Google Drive and Dropbox are typical for remote servers. The website should be checked at least once every week. Each page on the site’s front end should load without errors. Plugins and the Content Management System should be updated. It is not enough to perform daily backups. Take the next step by storing these backups at an off-site location. Go through the pages to find if there are any broken links. If you find spam comments on certain pages during website maintenance, remove them. Take a close look at all forms to guarantee they are functioning as designed. If there are any 404 errors, resolve them by re-directing or remedying links. If there are any problems with emails transmitted from the web server, note and resolve them as quickly as possible. In terms of marketing, ally with a content marketing team to help you create weekly blog posts to share with colleagues and followers. Monthly website optimization can commence with gauging the loading speed. If it is in excess of three seconds, discuss the matter with your web developer to enhance speed. From a marketing perspective, it makes sense to transmit a monthly update to those on your email list. The monthly check is also the time to review security scans, Google Analytics website statistics and local searches. Consider what your most and least popular content is and repurpose the best of it. Pinpoint the best source of conversion and specific pages visitors come from and consider optimizing them with frequently searched keywords and phrases. Analyze all of this information in-depth and alter your content as necessary. The quarterly website maintenance check should be a thorough review. Consider what aspects of the site can be improved. Take a close look at the website content, graphics, photographs and so on. Is everything up-to-date? Consider if it is possible to enhance this content so it is more current. The quarterly website optimization is also the time to review and modify meta titles and meta description tags. Check the uptime logs to boot. If uptime is below 99.9 percent, meet with the web host to find out how it can be improved. If the web host can’t help bring this figure up, consider the merits of other web hosts. This is also the time to check backup health by restoring the latest backup to a distinct web server. Review the tasks performed on a regular basis and determine if they can be automated to save time and effort. Validate the site for use on mobile devices, accessibility and CSS/HTML. If you run online advertising campaigns, review and adjust them each quarter to meet goals. The quarterly check is also an opportunity to perform some testing. Test the automated messages, forms and the website itself. Make sure the site looks good on all different types of computers, laptops and mobile devices. Alter the forms and automated messages in an effort to boost your conversions. It should automatically integrate with the CRM as well as the email marketing system. The annual website check is a time to consider improving the website’s user experience design as well as its aesthetic design. Implement changes as necessary to keep visitors stimulated and intrigued by the site’s presentation. Update the website footer copyright date. Renew the website domain name if necessary. Review all of the site’s pages to ensure the content is accurate and still relevant. This is also the time to review the website strategy to ensure it is fully aligned with your idiosyncratic business goals. MarketCrest, LLC is an award winning, full-service marketing firm focused exclusively on Marketing Consulting & Services that drive revenue growth. Simply, we exist to help our clients compete and grow… and we expect to be held accountable for their improved performance. Even as digital marketing has taken over the marketing world, nearly a quarter of all businesses still aren’t using social media or SEO. Without an intelligently structured marketing strategy, companies could be wasting time or valuable advertising dollars. If you’re not actively optimizing your website for search engines (SEO = Search Engine Optimization), you may need to hire an SEO agency to help ensure you get a return on your website and marketing investment. Search engine results are becoming the primary way consumers find out about businesses. Even a longstanding business with talented staff and good customer service can’t hope to compete with peer companies that are investing properly in SEO. If you’re not appearing at the top of the search engine result pages (SERP) or if you are not seeing your digital marketing dollars convert to sales, your online strategy might be trashed. Here are 10 signs that it’s time to call an SEO agency to solve your problems. Your SEO strategy is more than just installing a plugin to your website. SEO is technical and should include optimization of your website pages (“on” your website) and your backlink profile (which is “off-site”). To make matters worse SEO is ever-changing so you HAVE to stay on top of it. Sadly SEO isn’t something you can learn, or perform on the weekend between yard work and the football game. Your work must be accurate, consistent and plentiful. It will involve knowledge of WordPress or HTML programming, SEO best practices, apps to support your work and analytics, fresh website content, social media promotion, a network of local and relative directories plus blogger outreach. If you can’t dedicate regular time each month to perform these task properly, hire someone to help before you lose too much business. And you will miss business if your website is the industry’s best-kept secret. 2. You Got An SEO Penalty! Search engine optimization has rules. Google will punish companies that break the rules in an attempt to fluff their rankings… even if it was unintentional. Penalties will mean that Google will artificially lower your rankings until you fix the issue. Learn from your mistakes and avoid incurring Google penalties for duplicate content, keyword stuffing and “black hat SEO”. Black hat is the industry term for cheating and Google will make you pay dearly if you try a tactic that you heard was the “key to great SEO”. So we are on the same page… hiring an SEO agency will help you improve your content marketing strategy and results greatly. But pumping our content does not equal good SEO or increased website traffic. Your content must be informational and helpful to your target audience. Topics must be created with great care to ensure you will be viewed as a trusted source and that your content will be consumed (read, watched, heard etc.). SEO agencies have software that can blow your mind. They can provide you with topics people are searching for, how often the topic is searched and the details about those searching. Their software can show you the most read and most shared articles. Want to know which of your competitors have the best online profiles and what type of audience they are targeting? Trust us, this is only the beginning. It gets borderline creepy, but information is power. If you want your website to attract the most traffic in your space… create the best content; produce it in the form your audience likes to consume (copy, audio, video, ebook, on and on) and promote it properly. Not every talented business owner has the technical skills for SEO or the time to develop them. You’ll need to know basic elements of web design, development, mobile optimization, backlinking, conversion rate optimization, copy readability, metadata and more. You can do it…it just takes time. While juggling the rest of your business affairs, be careful not to invest too much time and effort on something that you could outsource to a professional. If you want to improve your search engine results without having to take a basic web design class in your copious free time, it might be worthwhile to call in the pros. A major factor in inbound and content marketing is SEO. It’s become a priority for almost every company and in order to remain competitive, you must have content creation and distribution prioritized. Be honest. This might not be possible with your workload. Your marketing department might already have their hands full. If this is the case, it’s time to call an SEO professional and let them take the wheel. Even a business that has taken the time and effort to follow all of the so-called “experts” regarding optimizing their web presence can fail to produce results. Sometimes it’s important to know when to stop wasting valuable resources. If your marketing investment is not providing a measurable and definitive ROI (return on your investment). Get help now. Perhaps your budget only allows you to spend one week a year looking at your SEO status. Meanwhile, Google is changing their algorithm every 12 hours. That means you could have missed out on 600 change cycles since the last time you restructured your own SEO. If you don’t have the time to devote to this, you shouldn’t give in and let your rankings suffer. Hiring someone who is an expert in SEO can check in with you on a monthly basis or more often if you think that would help. If you run the kind of site that has had problems with spammers attacking your message boards and comments, you know you need SEO help. Companies that allow customers to post content can be abused to improve spammers’ own results. That duplicated content or spammy posting can damage your search rankings. Having an SEO expert to consult can help you avoid these issues. They can help to spam-proof your site and ensure that posters aren’t leaving duplicate content behind. Every local business has to know something about local SEO. Your SEO rankings shouldn’t be compared to huge international firms or companies located 10,000 miles away. Google knows this too. In order to meet your customers where they are and end up in local search results, you need to be targeting locally. If you’ve been spending your time trying to market against the biggest companies in the world, you’re wasting advertising dollars. Hiring an SEO agency can help you get think globally and act locally. Depending on the field you’re working in, your keywords might be too general or not giving you the results you want. Banging your head against the wall won’t get you there. Calling an SEO agency will. SEO experts know the way to help improve your keywords to get you the search results you want. Calling an SEO expert isn’t an act of throwing in the towel. Your priority needs to be delighting your customers. If you’re still trying to figure out what type of agency to hire, contact us for a free, no sales pitch consultation and tips for finding the right one. Looking to bring in more visitors to your website? Then you probably know about Search Engine Optimization (SEO) and how its goal is to rank your site higher in major search engines like Google and Yahoo. But do you know the difference between on-site and off-site SEO? On-site SEO is the process of using mechanisms on your website to try to bring in more internet users. Off-site, on the other hand, is attempting to do the same through tools not found right on your site. Using both can lead to better SEO results and lead generation than you’ve ever experienced. 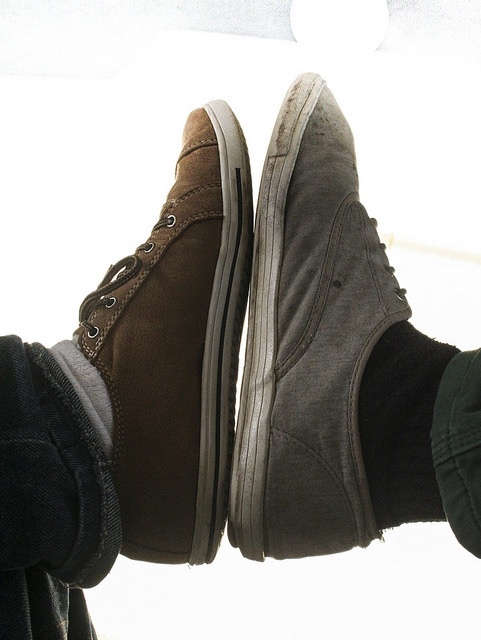 Avoiding one or using them together poorly can derail your SEO efforts. Here’s how to use both for lead generation. When people talk about SEO, the conversation often centers on how to get people to your website. Sometimes, it’s easy to forget the importance of what’s already there. If you have perfect SEO strategies without the content to back it up, people will leave your website as soon as they arrived. The truth is, it’s impossible to have perfect SEO without engaging and meaningful content on your website. Think about someone coming to your website and enjoying what they see. They might come back or pass along the page that interests them–that’s potentially ten more page views from one person alone. Plus, you need to shape your content around any SEO efforts you make. That starts with keywords. The concept of a keyword is simple: using words that are being searched for all over the internet. The internet user plugs in a term that’s heavily featured on your website, and voila! Your website pops up. The truth is a bit stickier. Let’s say you run a fictional smoothie shop where the specialty is fresh-blueberry smoothies. You have a gut instinct that those smoothies will draw in more clients, so they should be a focus of your website. So, you create content focused on “fresh-blueberry smoothies.” What are your prospects of drawing in a big audience of people searching that term? Not great. It’s not that people don’t want fresh fruit smoothies. The issue is that you need to put yourself in the shoes of the searcher. Centering your SEO content around that term will likely bring better results. That’s why, when picking keywords, it’s important to meet your next customer somewhere between the most descriptive term possible and its most searched version. Tags are the goofy cousins of keywords, made famous by the hashtags of twitter. But despite how funny twitter can be, tags have an important and real impact on your on-site SEO. Tags work in a way that’s similar to the function of keywords. By tagging a post with certain terms and phrases, you can cast a net on the internet fishing for searches interest in your content. But there are a few caveats. Like keywords, you should try to think about what internet users are really interested in. If you can match your tag with a future client’s interests, you’ll start generating more leads in no time. Be wary, though: if you start to add a huge number of tags to any post on your website, it’ll start to dominate your headspace and seem obnoxious to a reader. So, #trytobeefficient with your tags. There are well over a billion users on Facebook. When you take Instagram, Snapchat and Twitter into consideration, it’s pretty simple to assume that your page visitors are all over social media. That’s why it’s important for you to have a presence on some of the various platforms. People will look to your page for general information and updates. Through your social media presence, you can constantly direct people back to your website. That doesn’t mean you need to dedicate your whole work day to scrolling through boring Facebook posts. You just need to establish a presence for yourself to gain a bit more exposure. Organic page visits are an important part of your off-site SEO. You want people to naturally end up coming across your website. But lead generation through SEO can also happen in a more controlled way through online advertising. Pay per click advertising is one route that’s often beneficial for websites like yours. In that context, your ads go up on another website, often in the sidebar. You’re not charged until someone clicks on that ad, which directs them to your website. In that way, it’s a cost-effective twist in your off-site SEO strategy. It’s another muscle you can flex to help boost the number of eyeballs on your content. Forget the numbers and tags and keywords for a second–you need to be a person. Even in the world of SEO, it’s important you know friends and peers. Those contacts can be organic and powerful off-site leads back to your website. It’s like advertising, but better. When respected people in your field write blog posts and link to your website, their audience will be drawn to your website. That means you are getting interested and informed people coming to your website–a more valuable client than just any other page view. It’s the best kind of connection you can have. With this knowledge, you’re prepared to make a positive dent in the world of lead generation. If you dedicate real time and effort to on and off-site SEO, you’ll start to see the results, quickly. Plus, you’ll have time left to focus on your product or service or content. There’s no reason to feel left out of the party now, even in a world of over a billion websites. Your website deserves a spot. Looking for more ways to improve your rank? Reach out to our team for a free consultation. What Are The Best SEO Services for Small Business Success? Virtually every effective marketing strategy in 2017 includes having a proper internet presence. It’s just the way the world works. The problem is, there aren’t enough quality SEO services for small business proprietors out there. There is a common misconception that SEO only serves large clients, at the expense of the small businesses that really need the help. The marketplace is intensely competitive. In order to stand out and make waves, a small business needs to employ an expert SEO company. This way, they can use distinct marketing techniques to get ahead in ways that their competition may not be aware of. As stated before, the business world in the internet marketing age is extremely cutthroat and competitive. Small businesses without the necessary skillset can get lost in the fray. There is no harm in assessing the SEO strength of your competitor’s website. They may be employing strategies that would be useful for your business. You can also take advantage of weaknesses in your competitor’s SEO strategy. If they haven’t done adequate research, seize the opportunity to build a well-rounded strategy. For example, a common weakness among businesses, especially small and locally owned businesses, is lackluster content. Many business owners assume that as long as their website adheres to commonly accepted SEO parameters, they will stand out. But the reality is that good content trumps all. Creative, relevant content allows your website to soar high and above the competition. If your competitors do not have the strongest content, you can fill the void in your industry and become a resource for your consumers. The more people that trust your website, the more that will visit, and the more concrete leads you will be able to generate. For small businesses, word-of-mouth marketing is a crucial asset, and it can sometimes be even more valuable than internet marketing. But you have to build your marketing presence to get there. That’s where competitive analysis can be invaluable. Proper keyword research is the heart and soul of any SEO strategy. It’s probably the most important of the SEO services for small business owners. You should generate keywords based on your business and the services you provide. For example, if you are a moving business, you want to be able to rank for a keyword like “moving company in (your city)”. It’s important to rank for a diverse type and amount of keywords so that you aren’t following the exact same guidelines as your competition. Otherwise, it will be hard to stand out. You should try to rank for short keywords and long-tail keywords. Longer keywords and phrases give you a better chance of ranking for the exact words that a potential customer would type into a search engine. There are companies that can do keyword research for you. They will most likely use Google’s SEO analytics to determine what keyword list would suit your company. It’s crucial that your keyword list covers those words that are common in your industry while also diving into a niche that may not be as widely utilized. If you are marketing a product, you can use keywords to target a demographic that your competitors may not have tried to target. It’s all about doing your research and staying ahead of the curve. Having a number of high-quality links to other websites on your website can be a very quick and effective way to rise up the search engine ranks. Within your content, link to credible sources or related websites that may be able to supplement information for your customers. Do not link to competitors, rather, link to people, websites, and companies in charge of leading the conversation in your industry. The key is to build links to websites that will make your website look better. You want to enhance your content with links, not steer your audience away from your product or service. You will be rewarded by Google’s search engine algorithm if you have employed high-quality links. If you have a website that ranks highly while also providing your audience with good content, others in your industry may want to link to your websites. The more of these relationships you have, the more visibility you will have and the better off you will be. Once you have the knowledge to build a great website in accordance with SEO standards, you have to be able to implement them. For example, you cannot make the mistake of over-saturating your website with keywords. Not only will the quality of your website suffer, but you will likely not rank as high as you might think. An optimized website features all the image tags, meta descriptions, and metadata that will take your website to the next level. There are set rules to optimization that can reap high rewards when followed. But the important thing to remember is that if you have a good website with good content that follows SEO rules, you will have a leg up over many others in your field. Optimization is key for long-term success in online marketing. But without good content, it doesn’t really matter how high you are ranked. If your website is poor, you will lose credibility. But an excellent website is only the first step. For a small business, an effective website works like a sales pitch. It’s a chance to showcase your product or service in a tasteful way. Because of this, you want to make sure that as many people can see your website as possible. Utilizing these SEO services for small business success listed above are key. But once you have implemented them, you should have a system in place to track your progress. It’s important to periodically conduct an SEO audit, just to make sure that your website is performing correctly and steadily generating leads. Click on our social sharing buttons to share this post and continue the conversation or get started! Request a free SEO audit or consultation. We’re taking a deep dive into why PPC and SEO are a match made in heaven. Read on for the search knowledge you need to jump start your marketing campaigns. Okay. You have your website live, your products uploaded, and tons of blogs to make your website Google friendly. But nothing great has happened yet. Sure, SEO is important and landing your site on Google’s first page results is essential if you want more sales, engagement, or any other call to action you are hoping for. But why not combine it with another, equally effective method? Since we are sure you know what SEO is, let’s explain briefly what PPC marketing is. Long story short, PPC is an advertising model through which advertisers pay an online source to run their ads and direct traffic to their websites. The way advertisers pay for this service is actually in the name of this marketing model– yes, PPC stands for Pay Per Click. When talking about PPC, many publishers automatically think Google Ads. However, since it’s 2016, every popular website or platform with millions of users (Facebook, Twitter, Instagram etc.) allows you to publish your online ads. PPC and SEO can exponentially boost your exposure and make your product or service popular to online users. Your conversions will increase so much you will not even believe it. You can lead searchers to the content that you choose and you will not just let them click on that bad Glassdoor review that shows up first on Google (everyone has them). More visits lead to a more involved audience. How will someone like your Facebook Page or follow you on Twitter when they haven’t even gone to your website yet? And, last but not least, investing money on advertising, makes a company feel more legitimate. sorry to say, but it does. Yes, you’ve guessed it right. Both PPC and SEO help your website shine and gain more visitors. Additionally, it can help “webpreneurs” promote their products/services and achieve more sales. After all, it’s a material world we live in, right? Now, that we’ve finished the theory class, let’s take a look at four different ways to combine PPC and SEO to make your life easier and your income bigger. However, since you are running a business there is another, quicker and more effective way to help you understand what your audience really needs from you. Your website’s search bar. Yes, if you don’t have one, you ‘d better add one right now. Right this second. This way you will know what content would be wiser to promote the most on PPC marketing and what SEO modifications you have to make in order to ensure these products are found first on Google results. In other words, this way you will allow your own visitors and the keywords they use to provide you with the focus keywords you’ll need to keep in mind. Having a website is not even enough when you are entering the world of digital entrepreneurship. You have to create a website that both looks amazing and is modified for PPC and SEO purposes as well. For example, according to Google, an important factor that the most popular search engine is looking for when deciding where each page is going to show up on results, is the website’s loading speed. Is your website fast enough? Do you need to make some small modifications to meet the standards that Google has set? In addition, and again, according to Google, PPC rates vary and among these parameters is your page’s load speed. Why pay 5 cents per click when you can have the same results with just 2? Extra tip: Please make sure your website looks beautiful and easy to navigate in. You’ve got your visitor’s attention. Now, all you have to do is to provide them with a reason to stick around. We know, the word “performance” may sound intimidating to any Internet marketing newcomer. But, to be honest it’s much easier than it seems. Monitoring performance requires you keeping your eyes open and see what your audience is all about. An easy way to monitor your website’s performance is by promoting via PPC marketing different products, product categories or services to different kinds of people. Targeting specific demographic profiles is one of the most important tricks a marketer has to keep in mind. You might be promoting your products to 25-year-old women who live in Minnesota, but no matter how niche this audience might seem, it will help you get your products’ appeal on them. If it turns out to be a mistake and this audience is not that right for you, you can just keep experimenting. So, after promoting anything you want to promote to different kinds of consumers, you will understand what each audience needs or what audience your website speaks to the best. This way you will have the ability to make some more modifications in order to make your page SEO friendly and reach the people who will engage the most. Yes, you guessed it right. You can (and you should) target different keywords for PPC campaigns and for SEO purposes. In fact, since some keywords are more expensive than others, you can target the cheap ones via PPC and work your SEO magic on the costly ones. This will save you some money but still help you succeed. After this primer, you’re ready to jump start your search marketing with some PPC and SEO action! McKinney, Texas January 10, 2017 – MarketCrest LLC recently hosted a Marketing Services Workshop that focuses on giving graduating college students the opportunity to expand their experience in digital marketing. Scott Berry, the founder of MarketCrest and Rachel Thomas, the marketing coordinator, lead the workshop for select students from Oklahoma State University and Texas Tech University. Berry expands that a side benefit of the workshop is to give upperclassmen the opportunity to publish work for their portfolio. He finds this an important factor because many students graduate with no published work, and only have class assignments to demonstrate their skills. The workshop’s structure varies depending on the participants’ needs, the fundamental curriculum includes designing and posting social media ads, writing press releases and using digital tools – like Trello, Buffer, Canva, etc. The December participants were able to work individually, as well as a team. Katie Roberts, is a recent Texas Tech graduate; and Media Strategies major. The participants particularly enjoyed designing social media posts that promoted business, products and services. Madison Schein, a junior at Oklahoma State, participated in the marketing services workshop to gain more experience related to her future career in public relations. MarketCrest is dedicated to helping college students expand their experience by providing multiple internship opportunities. MarketCrest has built a productive relationship with Oklahoma State, Texas Tech and University of North Texas communications students, who are excited to gain experience in their future careers. College students learn and experience marketing agency services through both marketing services workshops and internships. About MarketCrest: We are a firm focused exclusively on Marketing Consulting & Services that drive revenue growth. Simply, we exist to help you compete and grow and we expect to be held accountable for your improved performance. Learn more, and receive a free 1-hour consult and Get Help NOW! More inbound traffic means more leads – and this means more conversions. Here’s a step-by-step guide on why and how optimizing for keywords will increase sales. Who wants more inbound traffic, more leads, and more sales? If you raised your hand, then you’ll definitely want to read on and learn how to use keyword optimization to get more business. You may have heard rumors from internet marketing circles and forums that keywords are dead. Fortunately, this isn’t the case. And even better, we’re going to tell you which type of phrases and queries to target, and how to properly optimize your website and pages for these keywords. Don’t worry if this sounds Greek to you. All will be revealed if you keep reading. When Google released the Hummingbird update in 2013, many optimization practices were rendered obsolete (like keyword stuffing and measuring keyword density). This update changed the way Google ranks websites, shifting from away from keywords in favor of the quality and relevance of the content provided. BUT – the update didn’t render keywords obsolete. Matter of fact, they’re still part of Google’s over 200 ranking factors. Sure, keyword density doesn’t count for anything anymore. And keyword stuffing can get your site penalized. But, the placement of keywords is still important. We’re going to look at how to optimize a page using proper keyword placement and best practices. But, before diving into that, a brief discussion about the different types of search queries is a must if you want to gain more business through keyword optimization. Types Of Search Queries: What Are They? And, Why Are They Important? Entrepreneurs and small business owners new to search engine marketing often focus too much on search volume when researching and targeting keywords. Make no mistake: search volume is important. And, if you can find a keyword with high search volume and low competition, you’re off to a hot start! Should your website rank for it, an upswing in traffic is almost guaranteed. But, will the traffic convert into sales? The answer depends on the content of the ranking page and the search query. If the two don’t match, converting visitors into subscribers or customers may prove difficult. If the goal is to increase qualified leads and boost sales, keyword optimization with transactional intent should be the target. Let’s say you are a computer and hardware reseller, and you want to get more gaming graphics cards out of the shelf. So, pay attention to search volume but don’t neglect the type of search query and commercial intent of a keyword. We now have a clearer idea of which type of keywords to target if you want to get more high-quality traffic and generate sales. Let’s get to the optimization part! On-page SEO is always the starting point when you want to rank for a keyword. And, unlike external elements like backlinks (more on this later), on-page optimization relies on elements that you can control. Page URL: Yes, having keywords in the URL is still a good thing. And not just for keyword optimization purposes. Microsoft’s research showed that URLs are one of the elements a searcher considers when deciding which website to click. Page Title: Include the target keyword or a slightly tweaked variation to maintain a natural flow. Make it compelling to catch the attention of users, and keep the title under 55 characters so Google displays it in full. Page Description: The description should accurately describe the content of the page and have the target phrase and other closely related terms. About 155 characters is a good benchmark for length. And of course, you want a clear and convincing description so users are persuaded to click. Content: The content should be logical (what the user expects) and comprehensive while using the main phrase and related terms in a natural way. Don’t sacrifice grammar and readability just so you can include an exact keyword. And lastly, no keyword stuffing! Now, there’s more to on-page SEO than placing the right words at the right places. If you want to learn more about other on-page SEO strategies you can employ today, check out this infographic which shows the 16 factors that Google and users love… and read the full Keyword Optimization article from our partner Carl Lefever here. Is It SEO verses Content Marketing ? There’s a bit of confusion over SEO and content marketing. The confusion comes over how SEO and content marketing fit together. Do they fit together? Are they at odds with each other? If so, is it possible to force them together? In a previous post, I explained why SEO and content marketing are like PB&J. They go together. They just fit. They work well together. Now, I want to share exactly why that is — why SEO is actually all about content marketing, and vice versa. Before I share the why of this article, let me be clear about the what — the problem I’m addressing. The Problem: SEO and content marketing are not integrated. The crux of the problem is that SEO and content marketing are separated, as if they were two very different things. The truth is, however, that they go together, overlap, cohere, blend. Some people think that content marketing eliminates the need for SEO. How can “content marketing overtake SEO completely” when the only way to successful content marketing is to have SEO? How can you tear the two apart like that? Thankfully, there are voices of reason in the cacophony of confusion (e.g., the smallbusiness.yahoo article above). 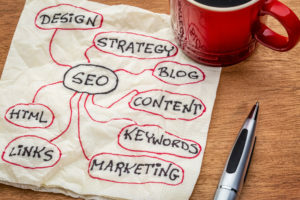 Careful marketers have observed the disconnect, and are trying to point out that SEO and content marketing go together. Yet the mistake persists. One of the popular articles that makes this mistake comes from an article in The Guardian, which states: “It looks like Google has tired of its old friend SEO and is instead cosying-up to the new kid on the block, content marketing” [sic]. It’s a cute analogy, but it’s simply not accurate. It’s not as if SEO and content marketing are two different people. To borrow the same metaphor, SEO and content marketing are actually two personalities of the same person. The problem, then, lies in the disconnect between SEO and content marketing. KISSmetrics and blogs at Quick Sprout. About Us: MarketCrest is a firm focused exclusively on Marketing & Sales Services that drive revenue growth. Simply, we exist to help you compete and grow and we expect to be held accountable for your improved performance. Learn more, and receive a free 1-hour consult.